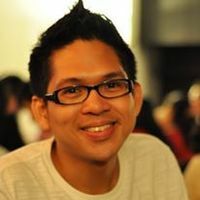 Jed Alegado (@jedalegado) is a climate campaigner based in the Philippines. He holds a master's degree in Public Management from the Ateneo School of Government and is also one of the climate trackers for Adopt a Negotiator's #Call4Climate campaign. MANILA, Aug 7 2015 (IPS) - Renewable energy is now being seen by many people around the world as a cost-effective development solution both for developed and developing nations. Countries have slowly been realising that the use of coal and the huge amount of carbon emissions it generates harms the environment and impacts our daily activities. In fact, according to Christine Lins, Executive Secretary of the Renewable Energy Network for the 21st Century, “last year, for the first time in 40 years, economic and emissions growth have decoupled”. “If you look back 10 years ago, renewable energies were providing 3 per cent of global energy, and now they provide something close to 22 per cent, so that has really sky-rocketed,” noted Lins. This is being led most obviously by countries like Uruguay, which aims to generate 90 percent of its electricity from renewable sources by 2015, and Costa Rica, which maintained 100 percent renewable energy generation for the first 100 days of this year. These countries are not alone and are fast becoming the norm rather than the ‘alternative’. Even small developing countries such as Burundi, Jordan and Kenya are leading the world in investments in renewable energies as a percentage of GDP. Recently, the Philippine government gave the go-ahead for the construction of 21 coal-powered projects despite President Aquino’s promise in 2011 to “nearly triple the country’s renewables-based capacity." However, after seven years of its implementation, the Philippines hasn’t yet fully maximised the use of renewable energy, according to Advocates of Science and Technology for the People (AGHAM), an NGO based in the Philippines promoting the use of local science and technology practices. In the next five years, the new coal plants that are expected to be constructed are the following: Aboitiz company Therma South Inc.’s 300-megawatt(MW) plant in Davao City (2016); the 400-MW expansion of Team Energy’s Pagbilao coal-fired power plant in Quezon (2017); the 600-MW Redondo Peninsula Energy, Inc. plant in Subic, Zambales (2018); San Miguel Corp. Global’s 300-MW plant in Davao (2017) and a 600-MW plant in Bataan (2016). A report titled “Powering up against Poverty: Why Renewable Energy is the Future” released last week by the international development organisation Oxfam argues that renewable energy is in fact a more affordable energy source than coal for poor people in developing countries. This supports statements made this year by the World Bank, IMF and former U.N. chief Kofi Annan, who have all argued that renewable energy and not fossil fuels are key to improving energy access and reducing inequality, especially in developing countries. If the Philippines wants to show to the world that our country is the rallying point against climate change especially in the global climate talks, our government needs to walk the talk on renewable energy. Indeed, climate adaptation practices are not enough. We need to show other countries and lead the way towards climate change mitigation by leading the path to sustainable development and use of renewable energy. Similarly, countries under United Nations Framework Convention on Climate Change (UNFCCC)’s Conference of the Parties must agree on a fair and legally binding agreement in Paris on December. We cannot afford another failed climate negotiations like the one in Copenhagen in 2009 to happen again.